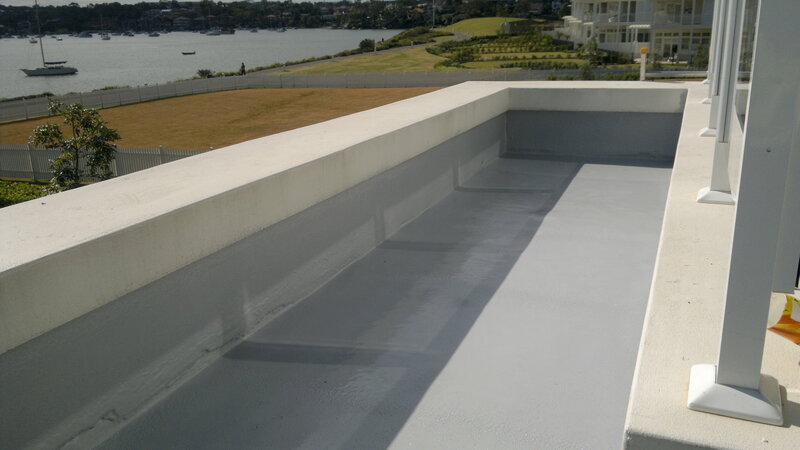 Existing (failed) membranes were removed and substrate primed with an epoxy primer. A bond breaker was installed around the perimeter to allow for movement. Rhino Linings 2185 was spray applied to an average dry film thickness of 2.5mm and now prevents any water entering through the balcony. The construction company told us that Rhino Linings was the only coating they tried that has not failed.